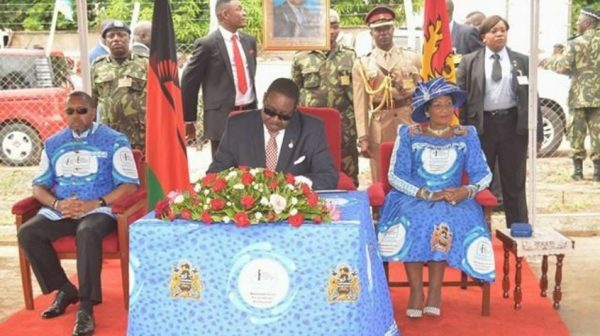 President Peter Mutharika says his country is sole owner of Lake Malawi and has assured the citizens that his government will not tolerate any Government which are interested to twist the ownership information. Speaking when he attended the National Water Day Commemorations under theme: ‘Wastewater Reuse for Sustainable Development’ in Mangochi on Wednesday, he spoke strongly that nobody should make a mistake to start thinking that they own part of lake, saying the whole Lake Malawi belongs to Malawi and this cannot change. “Lake Malawi is ours. When I say this I mean the whole lake. Let nobody make a mistake about that because this lake is for our nation,” said Mutharika. Mutharika said this in reaction to Tanzania claims to own some parts of the lake in the Northern Regions which started some years back. He also appealed to people in the country to take care of Lake Malawi, which he said is the country’s national treasure. “Don’t waste water, water is life. The World is going through the worst climate change, water resources are dwindling day by day therefore, we must find ways of preserving the water so that we have maximum supply throughout the year,” added Mutharika. However, Mutharika maintains his ground to drill oil in the Lake Malawi despite calls from environmentalist to Malawi government to abandon the oil and gas project. “Those who worry about our plans to explore and drill oil have no reason to fear. If we decide to drill oil in the lake, we will ensure to use on-shore clean technology. “We value our Lake and we will ensure we implement measures to protect it, at all cost,” Mutharika concluded.